Yep. I’m riding that struggle bus to the bitter end. I’m at such a divide when it comes to this. On one hand I love ALL the food. All of it. But I’m not happy with how I look or feel. I’d love to find a good balance between these two worlds. But I haven’t found a way to do it. I eat really good but then I crave the junk. I can’t seem to wait it out or get past it. I haven’t given up. But some days it feels that way. I want to eat healthier, feel better and look better. But I’m also not looking for an easy fix with a huge price tag on it. I’ve done that too and then boomeranged right back to where I am today. I guess I just need to vent this all out and now I will reset and refresh again tomorrow morning. Beginning with a workout first thing in the morning. No more sleeping in this summer. That’s been part of my problem when it comes to how I’ve been feeling. Lazy start to the day, leads to bad food choices, no workouts and a depressed feeling throughout the day. Then it just repeats day after day. Nothing changes. That’s how it’s been for this last month since the kids got out of school. As I’m sloooowly writing this post I’m prepping myself for the week. I setup my workout space again downstairs & committed to a contingent workout plan to bridge me to the next one I scheduled in my planner. I mapped out my week on paper for food/snacks. In 20 days I’m on vacation and I’d like to get back on track before that comes along. I’ll check in each day after my workout for accountability and same for my food. Thanks for supporting me on my journey. I’ve got this because I have a plan! “Don’t Worry, Be Happy”. It’s a catchy tune, sure, but it’s not the best approach to success! Overly optimistic thinking goes like this ” I went WAY over my calorie budget today, but I’ll get back on track tomorrow, somehow”. While it’s helpful to assert good intentions (rather than beating yourself up) being vague about how you’ll recover isn’t helpful. Thinking things will get better somehow, without having a plan to make it happen, can derail your weight loss efforts because we need to identify what needs to change and than set specific steps to change it. So for instance the fix for going over your daily calorie budget could be to plan out your day for tomorrow. While most unhelpful thinking styles are negative (example beating yourself up) the don’t worry be happy style feels helpful and positive. But it too can lead to feelings and actions or more often, inactions that undermine our journey. Because it masquerades as something positive, this thinking style might demand a little practice and shift. An example on how to manage this type of thinking was provided by the Weight Watchers Weekly on this subject. It teaches you a way to “balance your thinking”. I’m a good one for this kind of thinking. I am a big “don’t worry, be happy” thinker when it comes to my weight loss journey. That’s why it’s ben so SLOW! I’m always saying to myself “it’s ok tomorrow will be better” – spoiler alert- tomorrow is never better. The action plan above is great and something I am going to give a try! 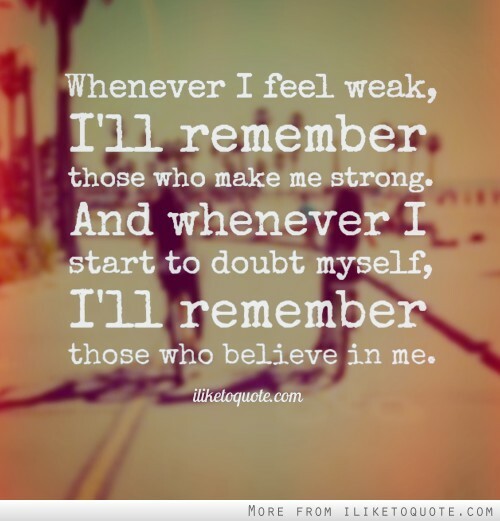 Feedback from family and friends can make or break you. Support carries far, but sometimes the non-support takes up residence in your brain (squashing down that support you do receive). My closest friends are always supportive. They’ve tailored meals served at an event for me, they continuously cheer me on while I struggle my way through this weight loss journey and don’t let me give up. But Family, oh family. Those folks can be the most challenging. Most of the time the people in my house are supportive. They eat the meals I cook for myself so I don’t have to cook multiple meals. They know that Friday’s and Saturday’s I am super strict with myself. However sometimes my family that doesn’t live here, they dismiss my efforts. The best example and why it’s so fresh is a dinner with my parents this weekend. They really just don’t understand my weight loss struggle. They don’t understand why I can’t lose the weight quicker and keep it off. Why I can’t stop overindulging in food. They bring huge dinners, which usually are high in fat and carbs (my two favorite things lol) and a dessert – which is usually cake and ice cream. Now please don’t get me wrong, I love spending time with them and I’m appreciative of them coming to my place and bringing dinner. I can usually swing whatever meal comes my way because we have been getting together on Sundays. This week however we agreed to meet up on Saturday because of the potential snow clean up on Sunday-which is tough for them. When we discussed the plans for dinner which include lasagna, rolls and dessert – they acknowledged my preference for getting together on Sundays, since I weigh in Sunday morning. So the suggestion was made that I just “skip my meeting”. I don’t want to skip my meeting. I missed my meeting last week due to being out of town. I gain when I miss a meeting because I go off the rails all weekend. Instead of just Sunday, that’s exactly what I did last weekend. I ate chips all weekend like it was my job. I reached out in my posts this past week and the support from friends has been invaluable to me. That’s where it’s at-finding a place you can reach out when you’re feeling alone. Finding a person that will support you no matter what. Everyone needs this. Emotional support. The online community and meeting room community I’ve created for myself has been invaluable in this leg of my journey. These are all like-minded folks who currently are or recently have fought all the demons that I am right now. I want to hit my goals so badly, but the struggle in my head is just as tough as the struggle with food pushing family. I recently watched the videos that I linked below. They are Jennie’s story of her weight loss journey. One of my leaders shared these videos on her Facebook page and some of the things she shared within her success story. If you have the time to watch her stories it’s worth it, combined it’s about 20 minutes, but hearing someone’s success can help to boost your own. What keeps you going? Knowing your motivation for losing weight can help you reach your goals. For most people it is more than just a number. It’s about a positive intention-what do you intend to do? How do you intend to live? to find your why, dig deep, to the heart of your motivation. The more specific you are about your why, the more powerful it is! Find pictures of what your why looks like and make a vison board or paste them to a board and keep them in your office. 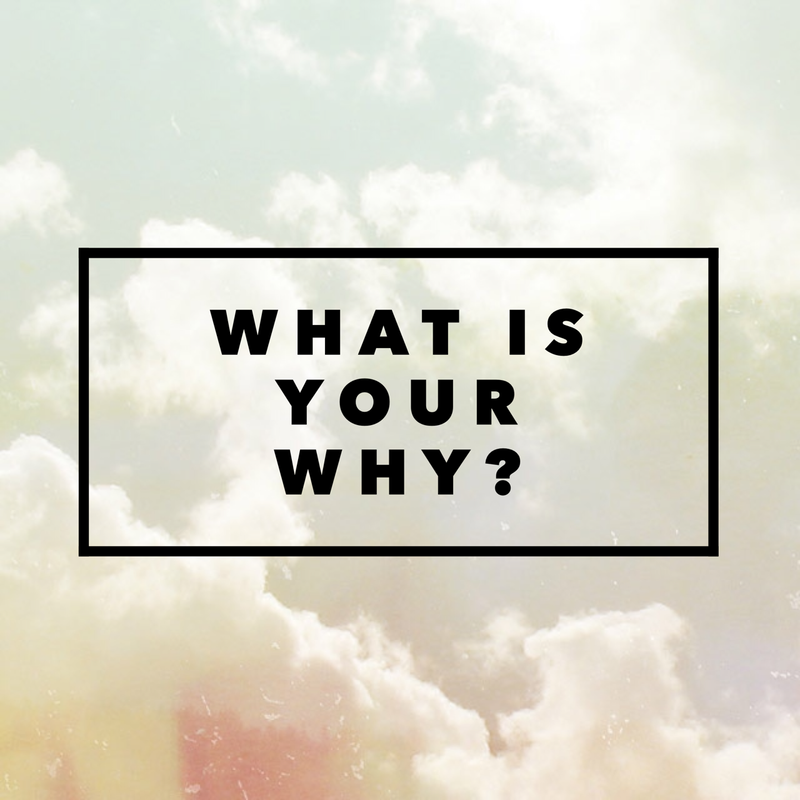 Make a screensaver for your phone with a collage of all the photos that represent your why! 1. Answer quickly – WHY DO YOU WANT TO LOSE WEIGHT? 2. Go into detail – WHAT DOES THAT LOOK LIKE TO YOU? WHAT COULD BE DIFFERENT? 3. Now make it yours! Answer again – WHY DO YOU WANT TO LOSE WEIGHT? Almost seven years ago I began this journey and hit my Lifetime Goal in 2010. I learned that being able to move without feeling horribly was such a blessing. I could run, play, hike and simply move around after my son with ease. After reaching lifetime and holding onto it for nearly two years, I had another child, putting back all the weight and also was diagnosed with hypothyroidism. This time around my why is for my kids. I want to be more active for them and I want to be a good example of what healthy looks like. Showing them by doing. I want to be able to say to them do what I do. Balance is everything and finding a healthy balance is key.